Family Owned in the heart of Lititz Pennsylvania. First and foremost, we are passionate foodies. We are a family-owned and operated specialty shop located in historic downtown Lititz. We carry a unique selection of fine cheeses and exotic meats as well as a variety of gourmet foods. Stop in to sample flavors from around the world, or book a private tasting for your next special event. Online ordering coming soon! Cheese is organized by country of origin. Certain selections are seasonal and not all selections are available at a given time. Please call if you have your taste-buds set on something specific. We are always happy to suggest delicious alternatives. The tanginess of this delightful goat cheese is tempered by the addition of honey. The flavor is mild, milky and slightly tart, finishing with a citrus tang. Cheddar laced with a deli style caramelized onion marmalade. Sweet, soft and wonderful melted on burgers, potatoes and omelets. This cheddar combines the subtle sharpness and depth of mustard seed with the mild, piquant taste notes of Welsh dark ale. This musty blue is creamy, yet slightly crumbly. The earthy flavor is sharper than Stilton, with a savory wine-like tang, but the aftertaste is caramel-like sweet. Wonderful with a stout beer. This classic cheddar has a sublime aroma and a nutty flavor. By wrapping each one in muslin, the cheese is allowed to breathe as it matures, forming the old fashioned rind that is the hallmark of traditional cheddar. Basque sheep cheese, dense, creamy and high in fat. Sweet with hints of fruit and burnt caramel. This creamy, smooth brie has a mild, buttery flavor. Sweet, salty with a hint of mushroom on the finish. Classic goat cheese. Has a distinctive fat creamline forming beneath the downy, edible rind. Fresh fruity flavors, lemony with a mild bite. This triple cream is incredibly rich, with a smooth, melt in mouth texture. The pungent mold rind imparts straw and mushroom aroma, complementing the buttery yellow, sweet cream interior. This Basque sheep's milk cheese has a smooth, velvety texture and a rich hazelnut flavor, similar to burnt caramel. The "Green Flower", this soft creamy cheese is made from fresh spring goat's milk. Coated in thyme, tarragon and crushed peppercorns. The flavor is fresh, clean and herbaceous, with a tangy, lemon finish. Similar to Gruyere, but hickory smoked and very soft. Rich, delicate flavor, wonderful melted in a fondue. Similar to the Swiss Emmental, but with a distinctive brown-reddish rind, from the coating of toasted wheat flour. Mild and sweet, with a pleasant hazelnut flavor. Similar in appearance to Brie, but much creamier. The mild, butter flavor has a sweetness that pairs well with fresh fruits and champagne. This double cream is loaded with silky fat, producing a whipped tangy texture. Similar in appearance to Brie, but much creamier. The mild, butter flavor has a sweetness that pairs well with fresh fruits and champagne. This double cream is loaded with silky fat, producing a whipped tangy texture. Speckled within the cheese are flecks of black truffles. This hard cheese that has the same texture and spherical shape as Dutch Edam, The taste is somewhat salty, with subdued chocoalate and caramel flavors. Because of its hue, it is sometimes called "Halloween Cheese." This sheep's milk cheese pairs well with dry red wines and fruit preserves. The smooth, straw colored paste is creamy on the tongue, and as it melts, sweet and salty flavors merge. There are also distinct notes of butterscotch, caramel and grass, with a hint of salt. This French Raclette is softer than the Swiss version. The semi-soft interior is creamy and fruity. Serve as a table cheese or melted. A double cream blue, moist, creamy and mild. The gentle boldness of this blue is addictive. Pasteurized version of Morbier, Buttery, nutty flavor with hints of grass and leaves. Triple cream blue cheese. Sweet and savory, with a mild nutty flavor. Very soft and buttery. Aged in a black wax rind. Intense buttery blue with a bold flavor and aluscious, creamy texture. Famous washded rind soft cheese. Not as pungent as the infamous American version. Delicious soft paste, often served with red onions on rye toast. Great melted. Very mild sheep's milk gouda. Begins with a sugary brown butter note, then reveals hints of pineapple, and finishes with the taste of salted pecans. Combines the savoriness of salt and smoke with the sweetness of butterscotch, and delivers it all in a wonderfully dense and creamy paste. Dutch gouda, coconut cream is added to the cows milk. Sweet, nutty, with a toasty flavor closer to the rind. Slow smoked over hickory wood, this soft Gouda has an edible rind reminiscent of dark beer and bacon. The pale tender paste is buttery and sweet. Pairs well with lager, pale ale, Chardonnay and white Zinfandel. Aged for 18 months, this rich, classic gouda has an ivory colored pate with a nutty, robust flavor. The firm textured cheese has hints of caramel and butterscotch, and a lingering sweet finish. Italian style Dutch gouda, with a smooth creamy texture. This aged cheese is a blend of gouda and parmesan. It has a sweet nutty flavor and caramel aftertaste. Italian baked buffalo ricotta cheese with lemon. Serve with fruits and sorbet. This firm cow's milk cheese is aged in Barbera grape must, giving it an intense red wine flavor with a fruity aftertaste. Italian cow’s milk cheese, soaked with red wine and marasca cherries. Delicate mixed flavors of wine and berries with the blue tang. Sharp, aged sheep's milk cheese. Flaky and supple. The flavor is nutty, piquant with woodsy wild herb notes. Semi-firm, crumbly sheep cheese, aged in walnut leaves. This salty cheese has a tart bite with an earthy finish. Sheep cheese with a musky, earthy flavor, ehanced by the slivers of black truffle. This buttery Italian square cheese has a yeasty, mild flavor. Slightly salty, tangy with meaty notes and a fruity finish. Made from cow's milk, this classic table cheese is rubbed with olive oil and tomato sauce. Aromas are reminiscent of yogurt and butter, with only a slight hint of tomato near the rind. A very mild delicious cheese with a slight tangy finish. Italian mountain cheese with a thin, rough rind and a pale, earthy paste. The flavor is sweet and fragrant. Traditionally used with lasagna, risotto and as a filling in pasta. This dense, pale goat cheese has a thin layer of lard, and then coated with fresh rosemary, giving it a irresistable aroma of rosemary, gently perfuming the interior. Pair this with a herbaceous Sauvignon Blanc or a Merlot. Semi-soft goat cheese. The tangy citrus notes balance the rich creaminess of this cheese. Aged goat's milk cheese. Bright, tangy and herbal, with hints of hazelnuts and lemon. This Basque sheep’s milk cheese is lightly smoked over beech and cheery woods. Firm crumbly texture, but the taste is rich and nutty. This goat cheese is aged 6 months to better accentuate the sweet grassy flavor. The ivory interior is firm and brittle, buy not too dry. Lightly salted with a nutty finish, reminiscent of a goat milk caramel. A semi-soft cow’s milk cheese with a bold, sharp taste. Can be grated or paired with nuts, dried fruits, sliced meats and olives. Serve with a robust red or beer. This is a young, 3 month old sheep's milk cheese from the Castilla region of Spain. The color of the paste is light - the taste is buttery and delicate with hints of spiciness. Raw sheep's milk cheese, aged 14 months, rubbed with olive oil. Salty and briny with a slightly nutty flavor and a peppery finish. Soaked in Sherry, this cheese has hints of raisins and rich molasses. Very mild goat cheese but with a intoxicating finish. Sheep's milk cheese, similar to Manchego but with the bite of a Pecorino. Spicy, buttery and complex with a sherry-like finish Flaky texture, with flavors of hazelnuts, cream and olives. A rustic semi-soft goat's milk cheese. Delicate, silky white, with a rich, creamy paste. Mild goat taste with a buttery finish. Sheep's milk cheese, similar to Manchego, but with a higher butterfat. This gives it a softness, but it still retains that nutty, gritty flavor. Vermont. Natural rind, aged cows milk blue. Big, bold and boisterous in flavor. Hints of buttered toast, chocolate and hazelnuts. Creamy Parm/Cheddar blend, soaked with Merlot wine. Flavors of hazelnut, brown-butter with berry and plum. Creamy Parm/Cheddar blend, soaked with Rasp. Tart Ale. Flavors of hazelnut & brown-butter. Vermont. This cheddar has a savory, nutty taste, but is also tangy with a sweet caramel finish. Aged Vermont cheddar, loaded with tangy slivers of Habanero peppers. California. Elegant soft ripened goat cheese. The texture is creamy and luscious with a subtle tang. Featuring a ribbon of edible white pine ash along its center. This Sheep's milk cheese is buttery in color and flavor with a long, complex finish. The texture is smooth and soft-firm. This is a delicious goat milk gouda, rich, creamy and easily melted. Nutty and buttery up front, but with a long caramel finish. Pairs nicely with a Pinot Noir. Vermont. Triple cream cow's milk cheese, with a soft fragrant paste and a milky, slightly grassy taste. Wisconsin. This is a rich creamy blend of cheddar and parmesan. Salty and sweet, with a fruity tang finish. Utah. Hand rubbed with Beehive wildflower honey and Redmond Sea Salt. Elegant soft ripened, creamy goat cheese, speckled with black truffles. The luscious texture is rich and earthy with a subtle tang. Washed-rind cheese, mildly pungent and sweet. Undertones of chocolate and rich cream. This mature Cheddar is warmed with a splash of the smokey peat tones Scotch whisky. Smooth Welsh Cheddar spiced with candied Ginger. This silky smooth Cheddar is rich with the flavors of Port wine and Brandy. This creamy sharp cheddar is crumbly, nutty, slightly sweet and toasty, with a hint of salt. The texture is smooth and creamy with a peppery, fresh and zingy flavor of horseradish and parsley. It's very tangy and zesty with a nice edge of heat that tingles on the tongue. Creamy Australian blue that's both sweet and salty. Delicate texture with a mild bite, then finishes with a hint of smoke and honey. Cheddary, buttery, with tangy, spicy undertones. Canada. Aged a minimum of seven years, the cheddar has a crisp clean flavor. A robust cheese, with a pleasing sharpness and hints of fruit and caramel. From the island of Pag, this sheep's milk cheese is salty, piquant and nutting tasting. This rich flavor of Dubliner Cheese with the malty, caramel, bitter flavor of Irish Stout. This rich, creamy cheddar is infused with the woody, robust flavor of whiskey. This caramelized goat cheese has a sweet butterscotch taste. Great with apples and pears. Extra mature Scottish cheddar with a honey sweetness and a sharp tang. Switzerland. The texture of this cow's milk cheese is firm, dense and slightly flaky. It has a nutty, sweet taste with complex musty and mushroomy notes. A selection of gourmet deli-meats, prosciutto, genoa.  Want to try exotic meat but not sure where to start? Join us for a night of food, drink, and laughter. Bring your small group (4-10 people) to an after-hours private tasting. We will sample cheese from around the world and exotic meats. It's BYOB and we're happy to suggest drink pairings. 30$ / Person. You'll leave full, we promise. Lovin' Lititz Every Second - Every 2nd Friday join downtown merchants in a lively evening of shopping, live music performances, art exhibits, poetry readings, jewelry shows, special dinner menus & tasting, and much more! Visit our shop on 2nd Fridays for our famous Wine & Cheese tasting. We offer samples of our meats, pasta, sauces, and our delicious cheeses. Open till 9pm on 2nd Fridays! We are working towards online ordering and hope to be up and running in early 2018.